Watching your loved ones age can be challenging, particularly when it involves discussions about moving into senior living communities, retirement homes, or specialty care facilities. These conversations can be difficult not only because it may involve leaving a home that was lived in for years — maybe even a lifetime, but also because of the perceptions of what senior living communities are like. But these negative perceptions of senior living are no longer accurate in most instances with the help of many factors such interior design. A few common misconceptions about senior living communities are that they feel institutional, isolated, and lonely. However, most senior living communities utilize modern design trends and advanced technology so that the environment doesn’t feel institutional or stuffy at all. There are a variety of residential options including individual rooms, homes, shared spaces, and more. Design is a key element in senior living environments to ensure that residents feel comfortable in their new home. Often times, designers will even analyze trends in certain locations so that the style of the facility is up-to-date and relevant in that area. Warner Design Associates has LEED certified (Leadership in Energy & Environmental Design) designers that are experts in design and function with sustainability in mind. 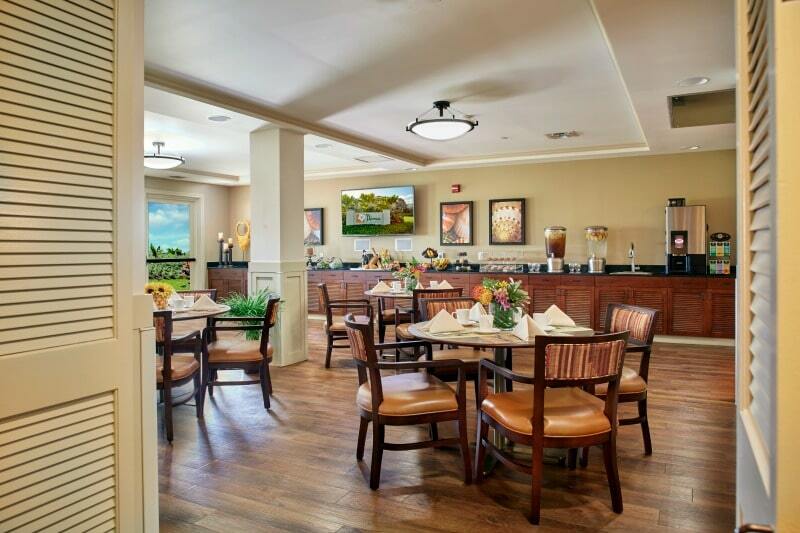 Green design and sustainability are becoming more commonplace in senior living facilities. Not only does green design contribute to many health and economical benefits, but it can also lead to more independence for residents. Many owners and developers of senior living communities will take proximity to public transportation into account. Having access to buses or light rails gives seniors more options for independence in nearby urban areas. Lastly, many residents and family members are concerned about loneliness. However, many facilities are designed specifically to enhance community interactions by including creative spaces for hobbies and interests, technology centers, movie and game rooms, gardens, and alternative dining options such as a grab-n-go/bistro by day and happy hour location by evening. These amenities are built and designed in a way that encourages collaboration and fosters friendship among residents in a comfortable, natural way. Moreover, visitors, lecturers, or partnering schools will also come visit senior centers regularly so there are always people stopping in, and residents often have the opportunity to step out into the community as well for shopping trips, shows, and other similar outings. Modern design is a key element to overcoming negative perceptions of senior living environments. We want residents to have the best in comfort, to be independent, and to foster a sense of community. Feel free to contact us with any questions.